Auberge 2048. And with no power left, it’s time for Halloween in the pitch black. Feel your way through the winding tunnels and secret passageways of the oldest bar Haunted House in Montreal. Hone your senses as information comes at you in mysterious ways. Dance like a freak knowing nobody’s watching. Wear something you wouldn’t dare in the daylight. Go blindly and let the music lead you. Open yourself up to new possibilities—who knows what could happen in the blackness. WARNING: A true blackout experience. Be prepared. Not for the faint of heart. 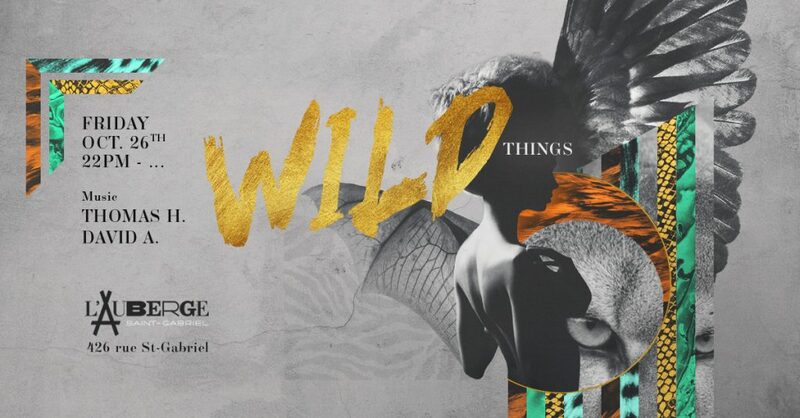 Wanna go where the WILD THINGS are? 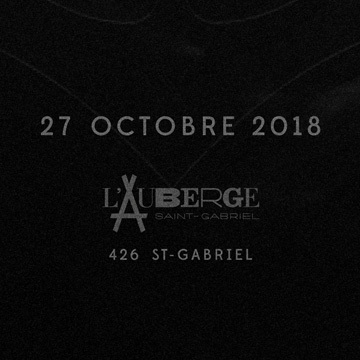 Come unleash the menagerie at AUBERGE this Halloween and uncage your inner animal. It’s all gone fur and feathers, claws and leather—beasts from the wilderness invade the party, hunting and howling at the moon. Primal rituals of fire and darkness dance their way through the night. OCTOBER 26, featuring Thomas H. & David A.